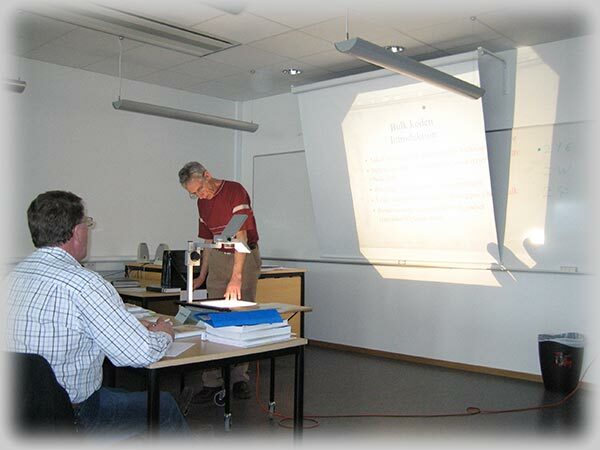 IMDG (Dangerous cargo) course in Kalmar 24 - 28th of April 2006. Kalmar Maritime Academy has been training deck and engine officers for the merchant fleet since 1842. 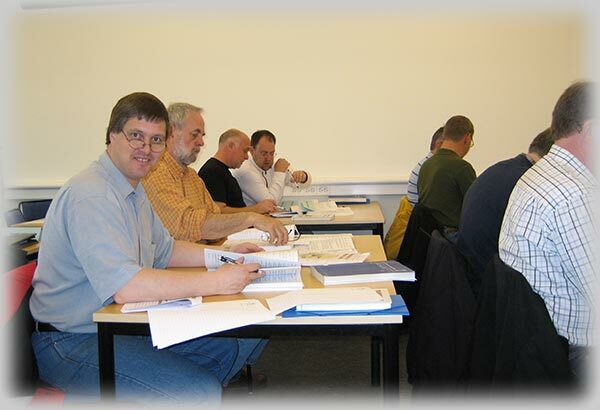 At present some 600 regular students are attending our main programmes: The Master Mariner Programme, the Chief Engineer Officer Programme and the Production Engineering Programme. In addition approximately the same number of officers attends our in-service courses. The new built school is situated in the heart of Kalmar, next to the guest harbour water front and the famous Kalmar Castle. 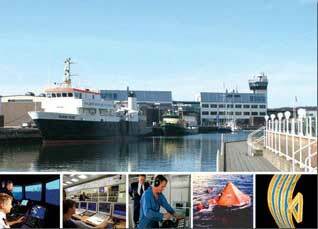 In this unique environment you will find state-of-the-art simulator equipment and laboratories, tailor-made classrooms and devoted teachers - all a part of a world-class maritime academy. The development of the IMDG Code dates back to the 1960 Safety of Life at Sea Conference, which recommended that Governments should adopt a uniform international code for the transport of dangerous goods by sea to supplement the regulations contained in the 1960 International Convention for the Safety of Life at Sea (SOLAS). First published in 1965, the International Maritime Dangerous Goods (IMDG) Code has become the standard guide to all aspects of handling dangerous goods and marine pollutants in sea transport. The IMDG-Code has undergone many changes over the years. The 2004 edition consists of two paperback volumes and a Supplement containing several related texts. In the IMDG code we find directions and regulations regarding dangerous cargo transported in packed form. In the IMDG code we can find directions and regulations regarding classification, packing, labelling, stowage, segregation and handling and terminology. There is also a emergency response action. OK, as we understand all dangerous cargo has to be labelled and marked. We have the United Nations (UN) Numbers. The UN is four-digit numbers used world-wide to identify hazardous chemicals or classes of hazardous materials. These numbers generally range between 0000 and 3500 and are ideally preceded by the letters "UN" to avoid confusion with other number codes. Associated with each UN number is a hazard identifier, which encodes the general hazard class and subdivision (and, in the case of explosives, their compatibility group). For instance, the hazard identifier of acrylamide is 6.1 and the one of cigarette lighters is 2.1. If a substance poses several dangers, then subsidiary risk identifiers may be specified. It is not possible to deduce the hazard class(es) of a substance from its UN number: they have to be looked up in a table. It's not possible to work out the hazard class of the dangerous cargo from the UN number. We have to look in a table to find out the hazard class. Well, we can find a lot of other useful information as well, hang on! I have taken the pictures from Part 3 of the “Regulations concerning the international Carriage of Dangerous Goods by rail”. On the ships we use the IMDG code. Part 3 in volume 2, chapter 3.2 “Dangerous Goods List DGL”, but I have no pictures of this table and I will upload this table as soon as I got pictures. We use the UN number 1203 and we find the following in Part 3 of the “Regulations concerning the international Carriage of Dangerous Goods by rail”. We go to chapter 3.2 List of dangerous goods in UN number order and here we find that gasoline is a class 3 material. This is from Part 3 of the “Regulations concerning the international Carriage of Dangerous Goods by rail”. This information we can find in the IMDG code as well. It's a little different, but now you get the picture on how we use the books. Radioctivity is only a potential hazards and that differ it from other dangerous goods. A white label represent the lower risk and a yellow label is a greater radioactive hazard. The higher the red number the higher the risk. Labels for Marine Pollutants and elevated temperatures. "Marine pollutant" means a substance in any concentration equal to or exceeding that specified for the substance as identified in the index to the IMDG Code by the superscript "P" or "PP". Containers or package with liquids with a temp higher than 100°C or solids with atemperature of more than 240°Cshall be labeled with the “Elevated temperature” label. You can entertain yourself while I'm off drinking a beer. All this writing about UN numbers, Hazard numbers and stuff had made me tired and I'm afraid that I will end up mixing all the different stuff. I can't keep track off all the different stuff anymore. I spent the Sunday with my hangover and Monday morning it was time to go to school. I had planned to walk to the school, but pain in my left foot forced me to go by bus. It was a gloomy and grey day with an annoying drizzle. Our lesson started at 0855 in classroom #250 and I arrived to the school at 0830. That gave me time to buy a diet drink in the coffee shop and I had just bought me a Diet Drink when I saw the Captain from Vinga Helena entering the coffee shop. - Hey! What are you doing here? I asked. - I'm on the dangerous goods course, he said. - Do you need that on a tanker? He told me that he was now working on the ferries between Sweden and Denmark. We had a chat about the good old time and it was soon 0855. We started right off with the IMDG code and we learned how to use the books. In column 4 there is a “P” under the 6.1. A P means that the material is Marine pollutant. and a "Z" for packing group III only. class 6.1 and as mentioned before a label with Marine Pollutant. We don't use this on the ships, but I just mention it because we can see this labels on containers and trucks on the ships. The P in column 4 means Marine Pollutant and thus we need this label as well. All sides of a container has to be marked. But its also depending on the package. A trailer only have to be marked on the sides and the back etc. If you need to know more read the IMDG code. Where the hazard associated with a substance can be adequately indicated by a single figure, this is followed by a zero. If a hazard identification number is prefixed by letter 'X', this indicates that the substance will react dangerously with water. Click here for a list of the Hazard Identification Numbers. EmS - this column refers to the relevant emergency schedules for FIRE and SPILLAGE in the "The EmS Guide - Emergency Response Procedures for Ships Carrying Dangerous Goods". The first EmS code refers to the relevant Fire Schedule (e.g. Fire Schedule Alfa "F-A" General Fire Schedule). Column 16Stowage and segregation - this column contains the stowage and segregation provisions as prescribed in part 7 of the IMDG code. But I'm tired and we have to talk about segregation and stowing tomorrow, my spelling gets worse and worse and we have to think about the English teacher's ileus. Well, I'm off to my bed, I have to wake up at 0600 tomorrow morning. For a description pf all the 18 columns click here. I hot shower and I left at 0700. It took me 40 minutes to walk to the school and I had time to buy 2 diet drinks before class. During the day we learned all about the segregation of the different classes of dangerous cargo. UN have classified all the dangerous cargo in to classes as mentioned above. So let's take a look on how to segregate dangerous cargo on board, this is important. We all understand that it can be very dangerous to mix dangerous cargo. We have class 3 (Flammable liquids) goods and class 2.3 (Toxic gases) goods and we want to put it on the ship. Where can we load the goods? We have to check with the segregation table, hang on! 3 - "Separated by a complete compartment or hold from"
4 - "Separated longitudinally by an intervening complete compartment or hold from"
We enter the table at the flammable liquid row and we follow the row until we reach the class 2.3 column and we find a 2 and that means “separated from”. The term “separated from”means a little different if it's a container ship, RO RO or a general cargo ship. It also different if you want to stow it under or on deck. But we don't have the space to explain it here, it's all in the IMDG code. As you see in the table above we have a segregation scale from 1 - 4. An X means that we don't have to segregate the cargo unless it's specified in column 6 (Special provisions). But generally it's just to follow the segregation table. But now you know how to find out how to segregate the dangerous cargo onboard. I hot shower and I left at 07:00. It took me 40 minutes to walk to the school and I had time to buy 2 diet drinks before class. We spent the day training with the segregation table and, well, it was getting a little boring. But training is good and we have an exam on Friday. So the enthusiasm was bubbling high in the class room. 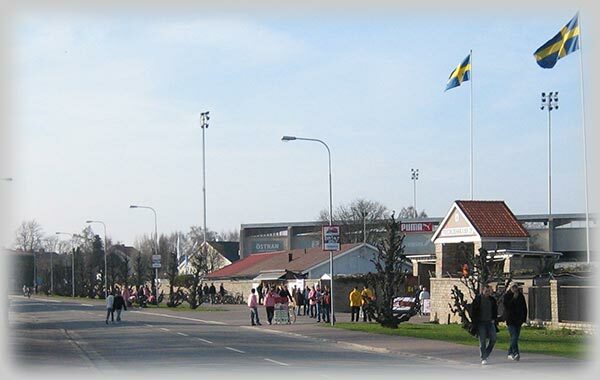 Hmm, at 16:45 we were ready for the day and I left school bound for Fredriksskans IP, the soccer field in Kalmar. 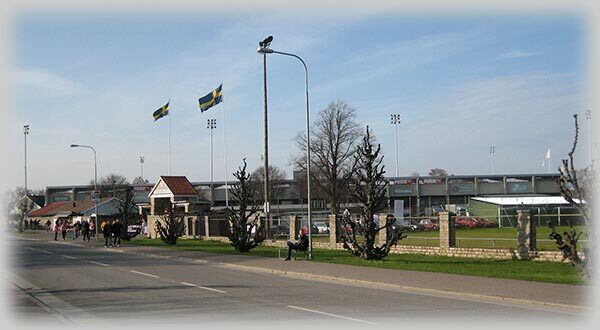 Malmö FF is visit the town playing against Kalmar soccer club. Kick off was at 19:00 so I had time for a pizza before the start. I asked the guards if there was a pizza close by and there was one 300 meters away. 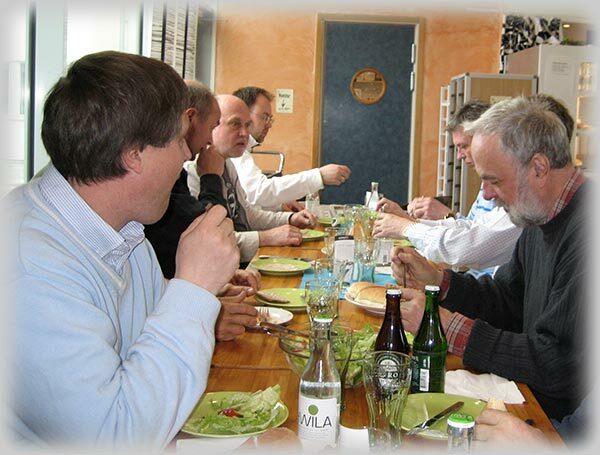 Well, Malmö FF is in town and it seems like all the farmers had to be seen and the restaurant was full. 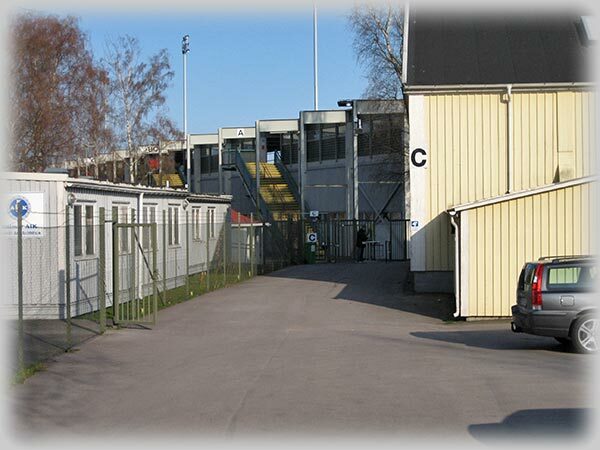 I was soon back at Fredriksskans IP and the away team's (Malmö FF) standing room was at the back side of Fredriksskans IP. It was cold, I was freezing like a dog, in a few days it's May but it must have been very close to 0°C. I was looking for someone selling supporter stuff from Malmö FF. I could really use a hat, muffler and some gloves. Not a sign of anything warm and I asked around for the stuff. - They only sell them at the home games. 19:00 and the game started and soon Kalmar's players started to attack the players from Malmö and they had to come on the field with a stretcher. But it's not easy to crack Malmö FF, but I was about to give up. Nothing ever happened in the game and Malmö FF only had one shoot on Kalmar FF's goal. It was over and the game ended nil to nil. I had ordered a taxi (too cold to walk back home) 5 minutes before the game ended and I was soon home with a salad. I was disappointed after Malmö's game and I soon felt asleep. I had to wake up at 6 o'clock tomorrow morning again. I hot shower and I left at 07:00. It took me 40 minutes to walk to the school and I had time to buy 2 diet drinks before class. It was the last day on the course and it was also the last day for the fair on the school. 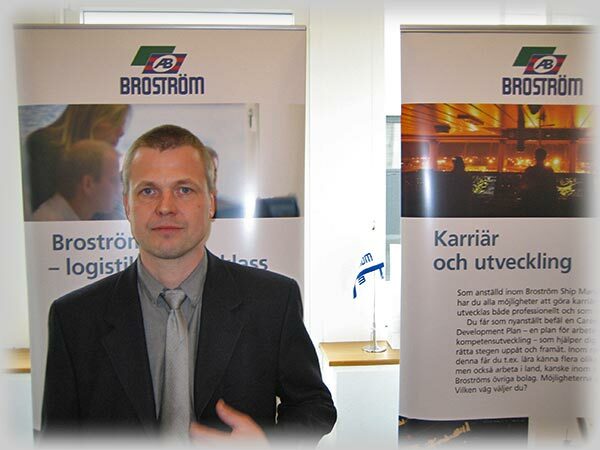 I knew the Seagoing Personnel Manager from Broström Ship Management from school. I had never meet the Seagoing Personnel Manager from Tärntank before. I meet them yesterday for the first time, hmm, actually they recognized me!!?? 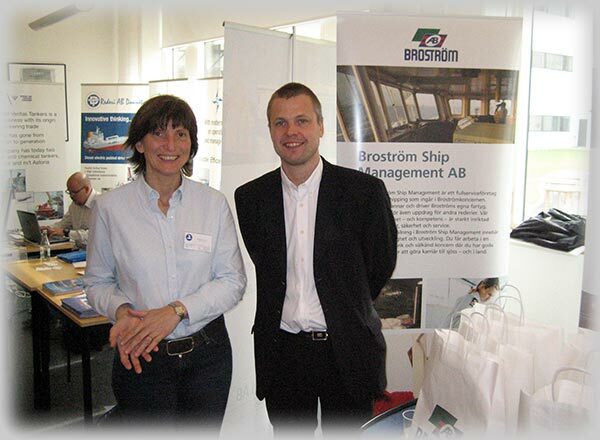 I was talking with the Seagoing Personnel Manager from Broström when the Personnel Manager from Tärntank came over. - Is your name Aladdin? She had been working in Tärntank 5 years ago when I was working there, but now she was working in Laurin Maritime. We talked about the good old time and she asked me to call her. I hot shower and I had planned to leave at 07:00. Hmm, I was uploading some new stuff on my iPod and it took longer than I had expected. I didn't manage to leave until 07:15, but I was in time for the exam. I even had time to buy a diet drink before the class. I finished the exam at 08:35 and our teacher gave me the result after 10 minutes. We need 60% to pass and I had 100%, hmm, I would have been disappointed with less. Well, time for me to join Rainbow Warrior in Singapore. Click HERE for the adventure on board Rainbow Warrior.